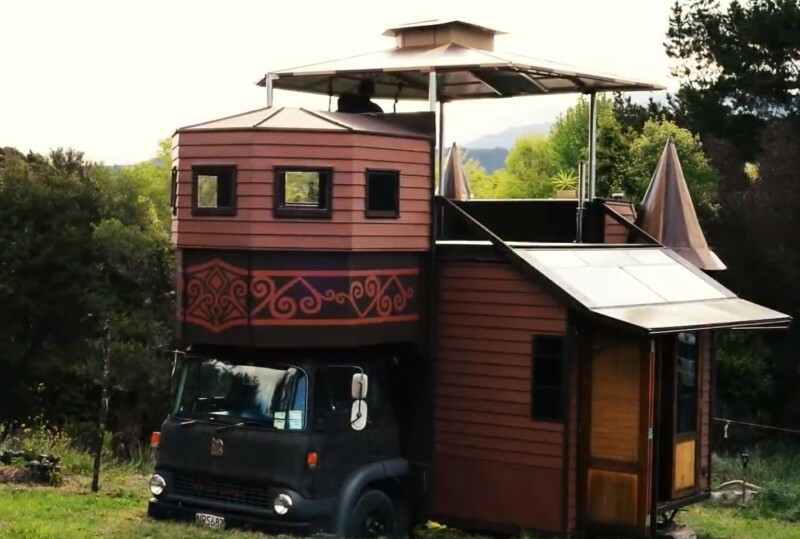 Couple from New Zealand transforms a truck into a palace! Most people simply have no desire to pay rent forever, or installments on a mortgage. Justin and Jola are two of these people. 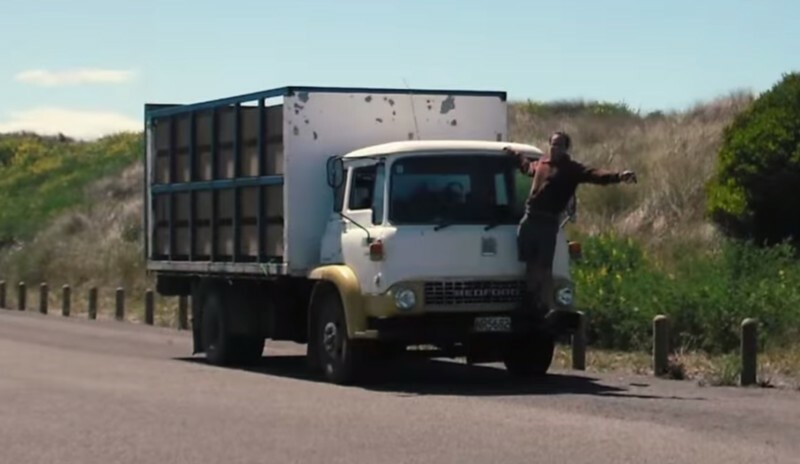 This little family from New Zealand devised something brilliant, and built an entire house out of an old truck. Wait until you see what their mobile house looks like. That’s the original truck before the reconstruction. Here are some pictures showing how the truck was rebuilt. Justin and Jola needed a ton of screws! And of course they needed some paint to give the truck that special domestic feel. A lot of thought was given to every detail. They built hiding places and nooks to make space for life’s little necessities. 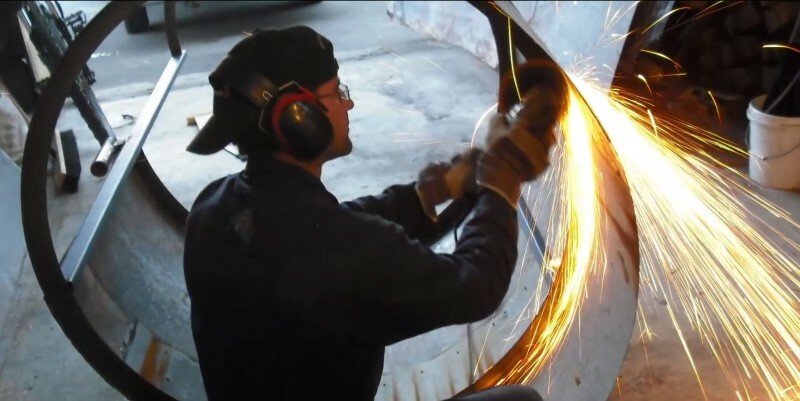 They weren't afraid to use a welder either! This hard work will definitely pay off. This house can further transform into a palace. Check out this grand entrance. There are two floors for lounging around. Here is the spacious kitchen and the living room. There’s more than enough room to move around. The house even includes a proper stove! And the view from the top is simply a dream. The hammock is a perfect finishing touch. For leisure time, there’s even a bathtub on the roof. A lot of love went into every detail of this house, and it shows. This inspiring couple created not only a beautiful home, but also an incredible work of art!